The highly anticipated senior hurling semi final between reigning champions Cuala and rivals Kilmacud Crokes didn’t disappoint. 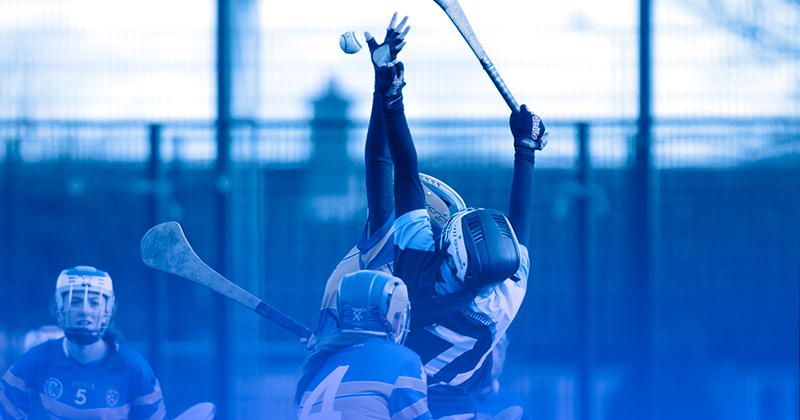 Cuala were looking to claim their fourth title in a row. Crokes were looking for their first championship crown since 2014. The two sides had met in the previous two finals with the men from Dalkey prevailing on both occasions. Crokes determined to make it third time lucky against Cuala. And with Cuala’s Mattie Kenny and Crokes Anthony Daly being touted to potentially take over as the new Dublin Senior Hurling manager, there was plenty of intrigue around today’s game. A dominant first half display though by Daly’s men set the foundations for victory. Despite a late rally by Cuala, Crokes sealed their place in the final on a scoreline of 3-13 to 1-17. The game started at a frantic pace with plenty of bite in the tackle. Kilmacud grabbed the opening point of the contest after three minutes from a Marc Howard converted free. It got even better for Crokes in the sixth minute when Oisin O’Rorke smashed the ball to the net. A David Treacy free seconds later got Cuala on the board. But the reigning champions were finding it difficult to make any clear cut chances. With that solid platform at the back the men from Stillorgan enjoyed the bulk of possession. The lead was pushed out to five. Points from a fine Caolan Conway effort and a Marc Howard converted free. Cuala danger man Con O’Callaghan scores his first point of the day in the 15th minute. But that was quickly cancelled out seconds later as Caolan Conway scores his second. With little coming from open play for Cuala they relied on the dead ball accuracy of David Treacy. He duly obliged with two converted frees in as many minutes. Kilmacud Crokes looked dangerous every time they attacked and goal number two arrived in the 18th minute from the hurl of Ronan Hayes and suddenly there was six between the teams. Another David Treacy free briefly reduces the margin but points from Lorcan McMullan and Sean McGrath from open play and another Marc Howard free gave Crokes an eight point lead with two minutes of normal time in the half remaining. David Treacy hit a brace as the game headed into injury time but just before the short whistle Crokes were awarded a free which the ever reliable Marc Howard dispatched to leave the score at the break 2-08 to 0-07 in Kilmacud’s favour. A Stronger Cuala Second Half? Cuala needed to come out and register a few early scores in the second half, but it was Crokes who came blazing out of the blocks. Damien Kelly broke down the right hand side and cut inside his marker, he headed towards goal and despite the Cuala keeper narrowing the angle he rifled the ball to the net to put ten points between the sides. David Treacy and Lorcan McMullan exchanged frees as the intensity levels rose further in the early exchanges. Con O’Callaghan who had been well marshalled in the first half grabbed his second point of the day. And further points from Diarmuid Flynn and David Treacy further cut into the Crokes lead. Kilmacud hit back with two of their own from Lorcan McMullan and Marc Howard as the game switched from one end of the pitch to the other at breakneck speed. Cuala are not back to back All Ireland club champions for nothing and the inevitable fightback began with ten minutes left. They were awarded a penalty which despite the efforts of Crokes keeper Matt Collins was converted by Sean Moran. Cuala’s tails were up and they smelt blood. They hit four unanswered points from Colm Cronin, Con O’Callaghan and two from David Treacy to leave just two between the sides. As the game headed into injury time Crokes Marc Howard converted a free and there was just a goal in it. But try as they did Cuala could just not breach the Crokes defence to score the goal that would have brought the game to extra time and had to settle for a late Con O’Callaghan point and Kilmacud Crokes held on for a deserved two point win. Crokes will face Ballyboden St Endas in the county final looking to win their first title in four years.